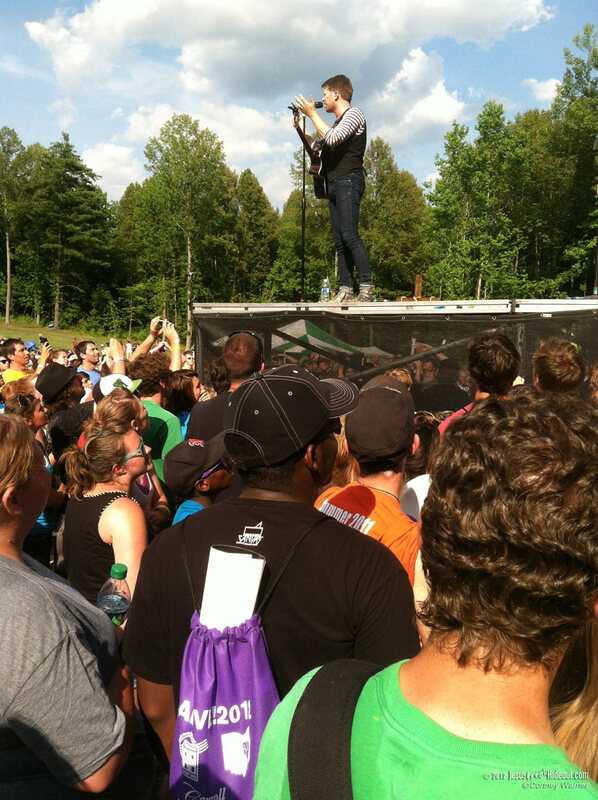 If you're a Christian music fan, then the epitome of your summer may just be the Christian summer music festivals. 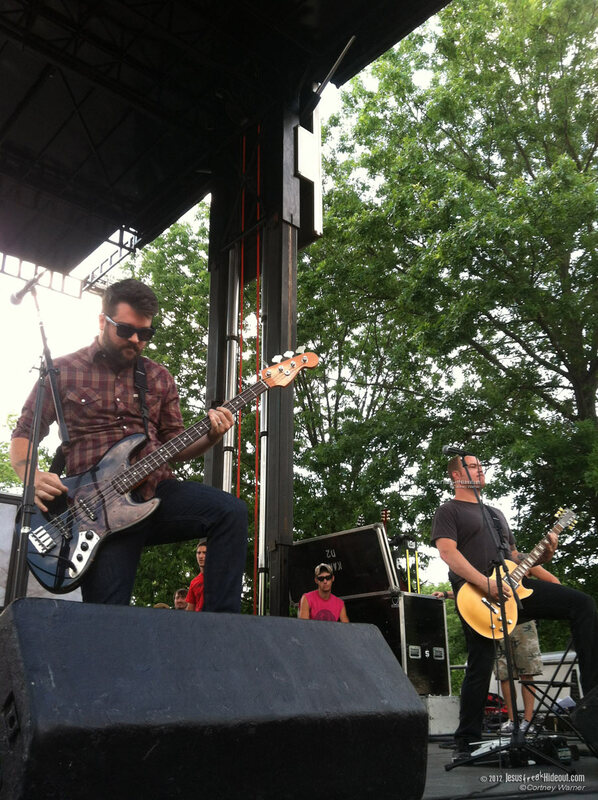 All over the country, CCM enthusiasts gather for a week of fun, worship, and rock and roll. I had the privilege of attending one of the biggest music festivals in the Midwest, the Alive Festival in Mineral City, Ohio. I only ended up going for one day, but here's a recap on what I experienced. 9AM - As I walked inside the campgrounds at Alive, I was greeted by a host of friendly and enthusiastic volunteers who traded my ticket for a wristband so I was able to get in and out of the park. As campers from all over the Midwest and beyond were just waking up to some morning worship with Chris Moreman on the Beach Stage, things were starting to heat up at Alive, both in music and in temperature. Moreman led Alive in a series of popular worship songs, as well as some originals too. 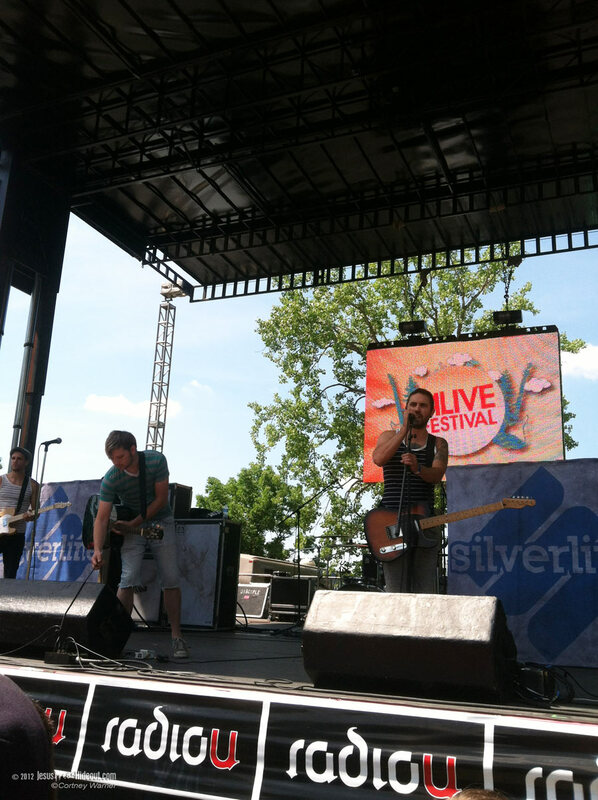 11:15AM - After morning worship, Silverline took the Beach Stage. Hailing from Minnesota, these boys knew how to bring the party. From the lead singer's engaging banter with the audience to the "chryo" packs on the guitarist and bassist's backs shooting off smoke. They announced that they're releasing a new album this year with producer Ben Kasica, Skillet's former guitarist, and played a new song from it. 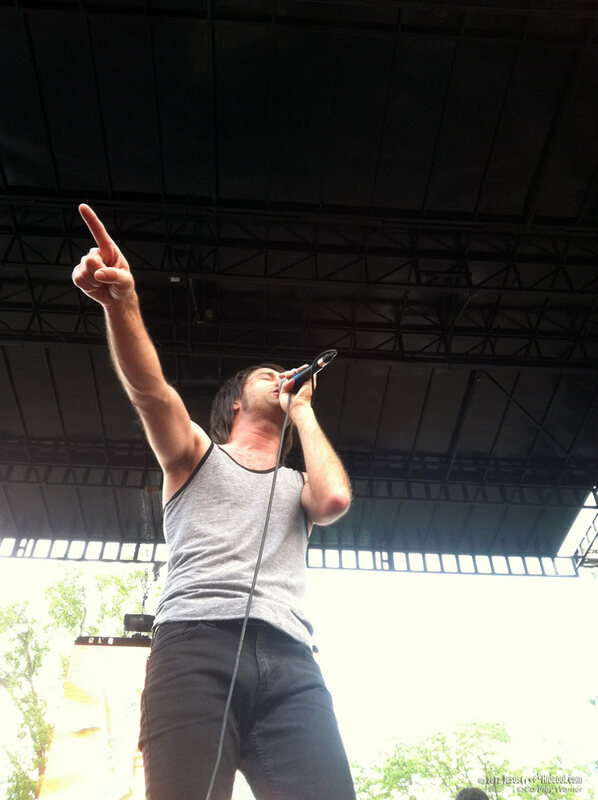 12:20PM - After Silverline, Metalcore band To Speak of Wolves took the stage and had the whole audience in circle pits. I stuck around for a little while to watch their set, but ultimately decided to take a break from the music and walked around the campgrounds to scout out the Amphitheater Stage and the vendors tents. The Amphitheater was located at the bottom of a large, grassy hill and they were preparing for sound checks for the main acts. At the vendors tent, we found merch tables from all the bands playing that night, including Skillet's, even though they played the night before, and several other foundations, organizations, and local Christian bookstores. Even though it was still early in the day, it was already full of people checking things out. 1:45PM - I headed back to the Beach Stage in time to catch the last ten minutes of Hyland's set. After Hyland, it was time for Disciple, one of my all-time favorite bands. 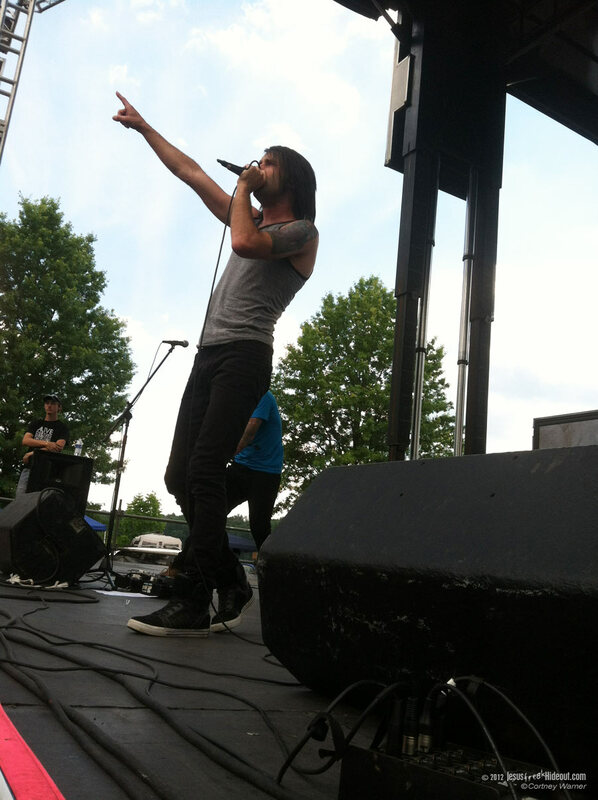 Disciple played a 45-minute set, with songs from their past three releases. 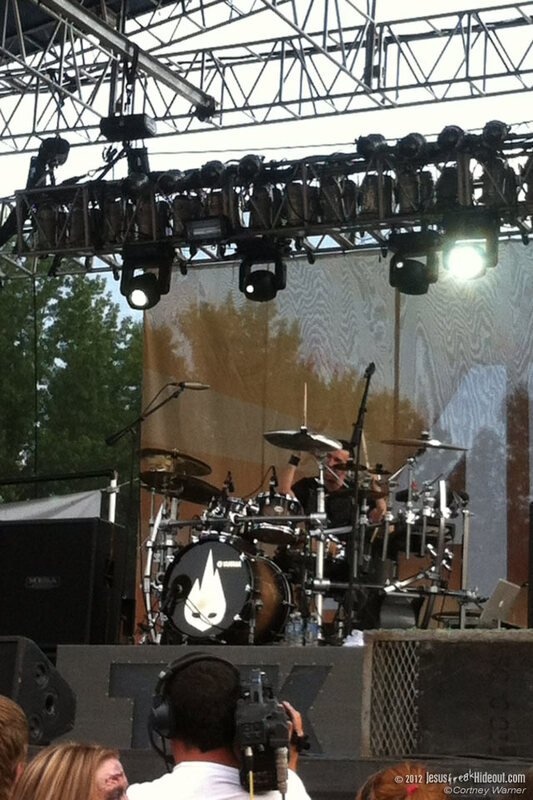 They played fan favorites such as "Dear X," "Game On" and "Scars Remain." 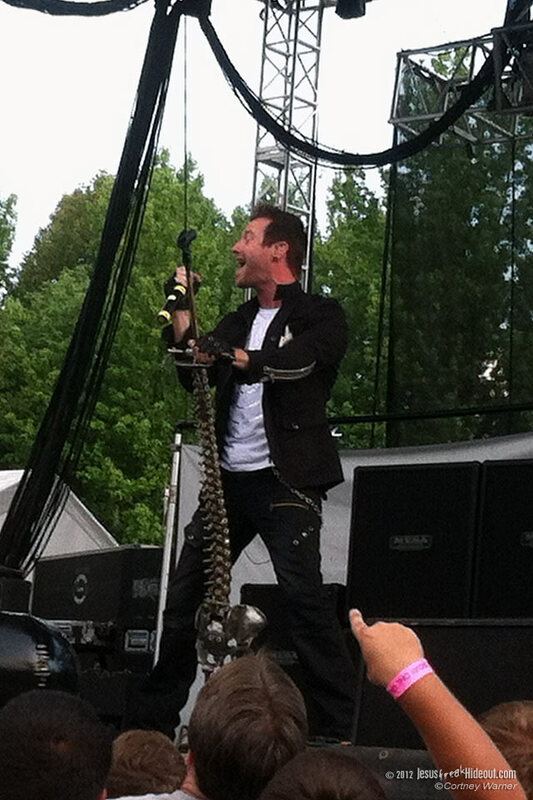 About ¾ through their show, they introduced the crowd to a new song off of their forthcoming album, O God Save Us All. It was similar in sound to "Dear X" and "Remedy" and from the sound of it; it looks like it'll be their first single. Frontman Kevin Young took time during their set to share some Scripture and offer encouragement for anyone in the audience going through tough times. 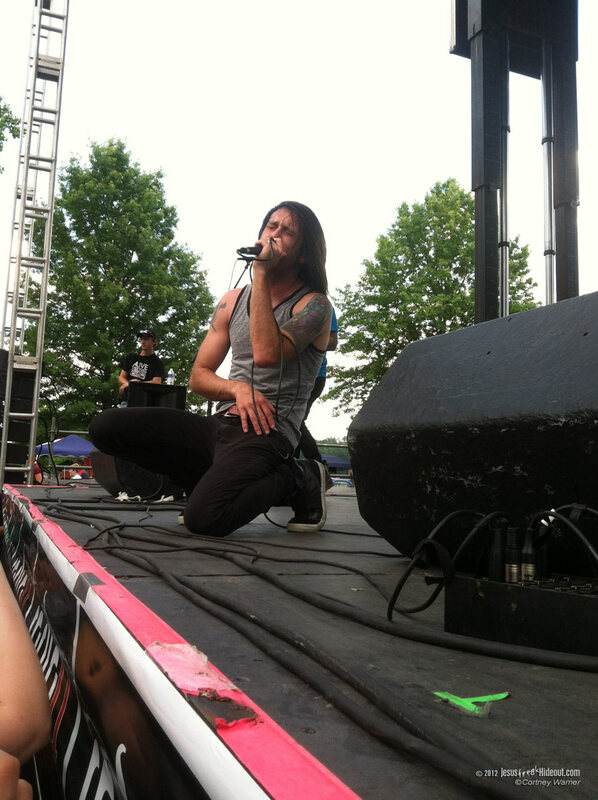 After Disciple closed their show, one of the hosts from a local radio station got the crowed to cheer them back on stage for an encore. 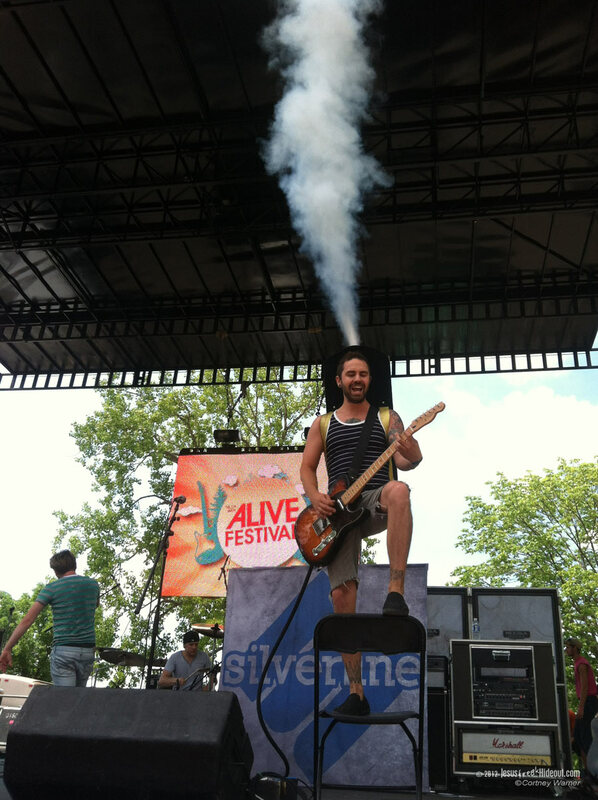 Overall, Disciple was an excellent way to end the hard rock festivities at the Beach Stage. 4:20PM - I headed back over to the Amphitheater again to pick out a spot for the main show tonight. By the time I got over there, most of the grassy knoll was taken up by an abundance of lawn chairs, blankets, and even an inflatable couch! 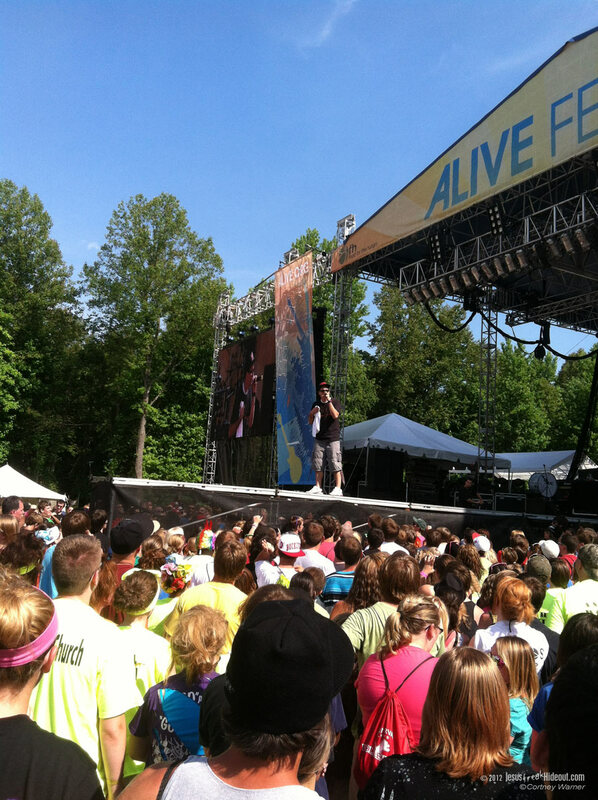 KJ-52 was the emcee for the week at Alive, and he did a great job! He kicked things off with some improv rapping and even got the crowd to do "The Cosby" dance. He then went on to share the story behind his song "Dear Slim," a song that's a prayer dedicated to rapper Eminem. 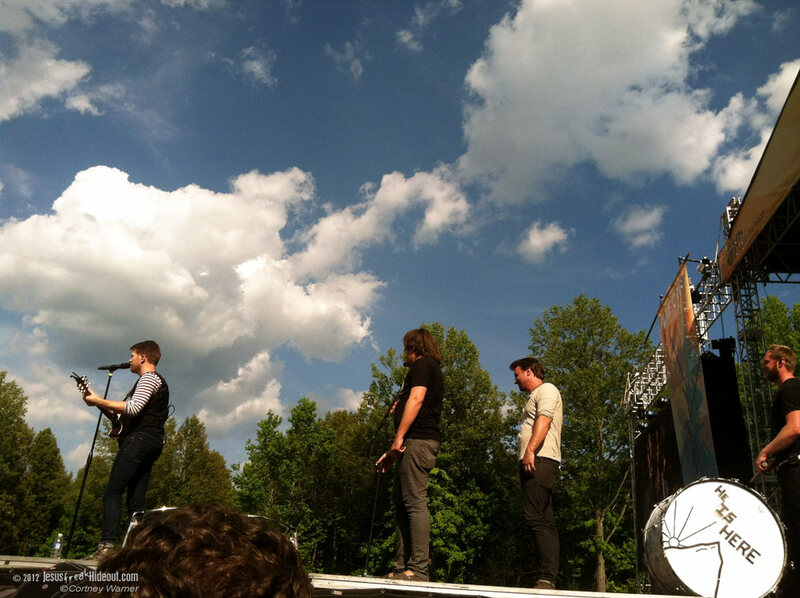 5:25PM - The City Harmonic performed after KJ-52, and from what I could hear their set was pretty good. At the time they were playing, I was making my way up through the front, so unfortunately I wasn't able to pay full attention to their set. From what I did see, however, their lead singer Elias Dummer was rocking out on the piano, and a large marching drum was being played on some songs. I was able to catch their acoustic performance during the middle of their set, where they played "Swing Low, Sweet Chariot" and Leonard Cohen's "Hallelujah." Their closing number was "Manifesto," currently their biggest single released to date. While I wish I could have paid closer attention during their show, it was the next act I was extremely excited about. 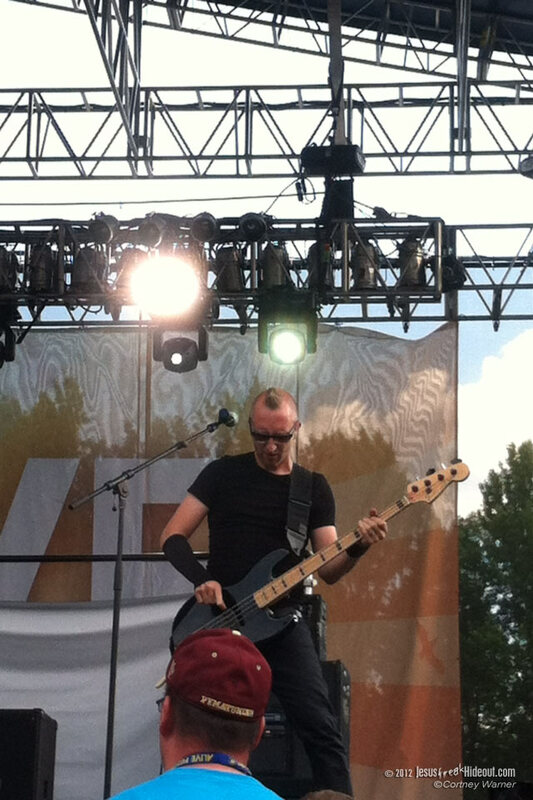 6:25PM - I'm going to be honest here and state that I am very biased; Thousand Foot Krutch is my favorite band, and the pinnacle of my day was when they were up to play next. The Canadian rockers didn't disappoint when they kicked things off with "We Are," one of their songs off the new record, The End Is Where We Begin, followed immediately by their hit "Move." 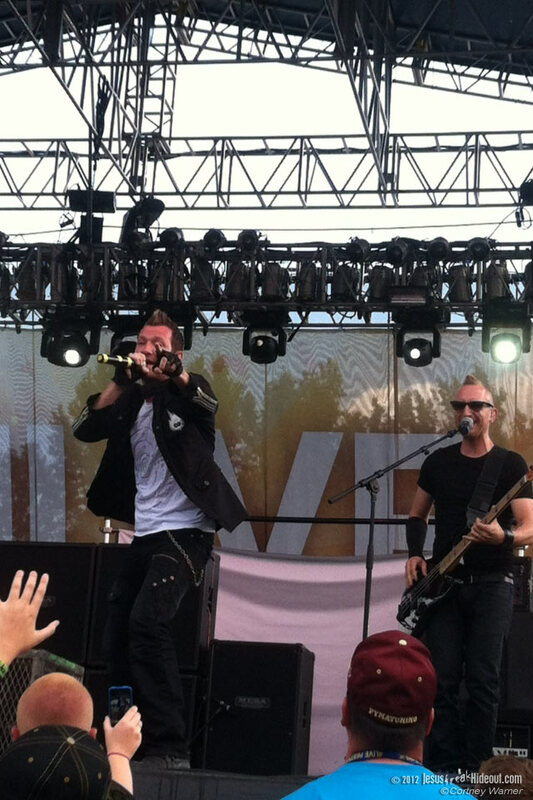 TFK wasted no time by cranking out some of their most popular songs from previous albums, while still making sure they included plenty of new ones. 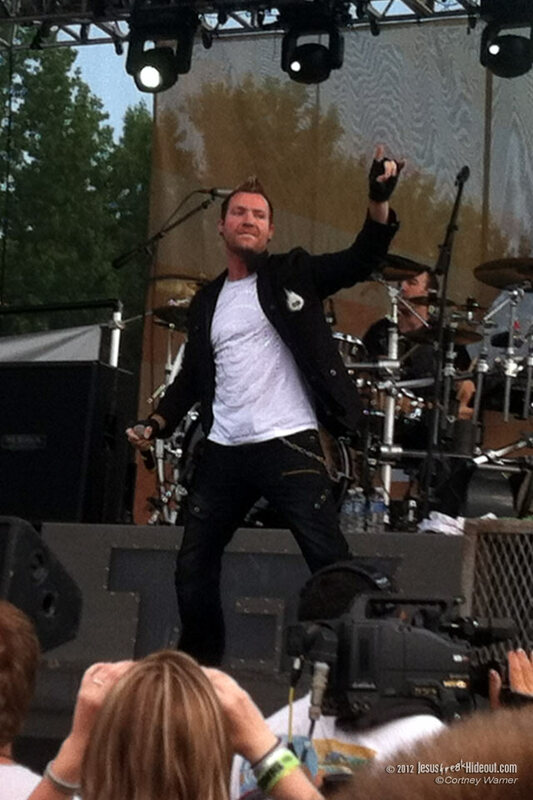 About midway through their set, vocalist Trevor McNevan took some time to share about who they were and what TFK was all about, and even had a surprise on-stage that night; Disciple's guitarist Andrew was filling in on guitar for them for this set. They played their mainstays such as "Rawkfist," "Bring Me To Life" and even "Puppet," which was from their very first record. This was probably one of best Thousand Foot Krutch shows I've been to, and the only downfall was that it was only about 45 minutes long. 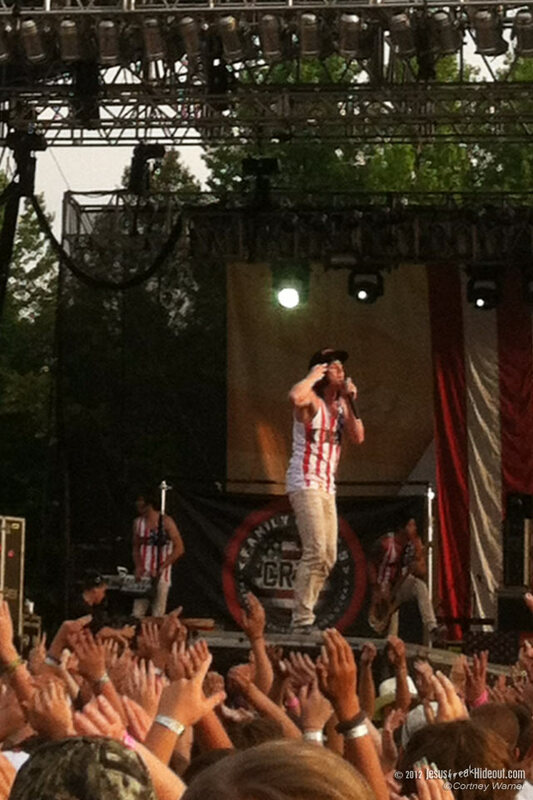 7:30PM - Taking the stage after TFK was undoubtedly one of the best live bands around, Family Force 5. 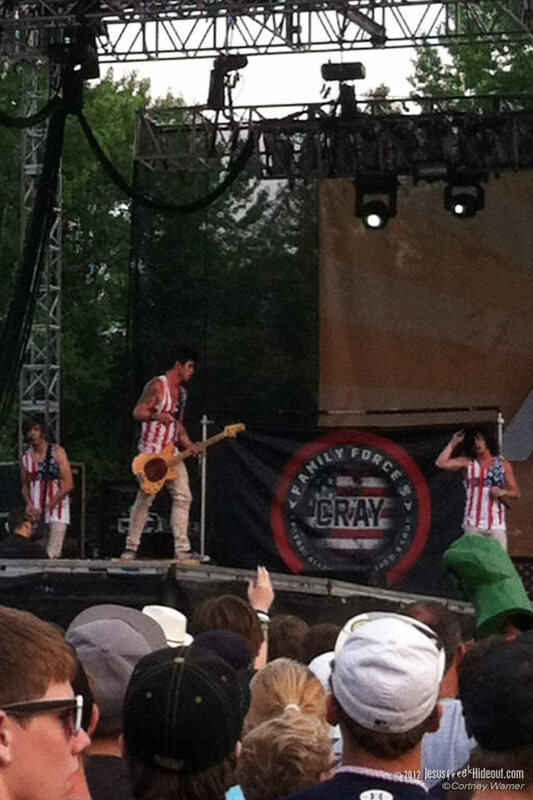 The stage was set up with American flags all over, including a giant one as their backdrop. They opened with a bang as Soul Glow Activatur rolled his way on top of the crowd in a giant clear ball. Running atop the energetic audience while singing their new hit, "Zombie," off of their III.V EP, the boys from "the dirty, dirty South" know how to party. Eventually, Soul Glow made his way back to the main stage as they started playing "Kountry Gentlemen" from their first album. They continued to keep the party alive by playing songs like "Love Addict," "Dance or Die," "Earthquake," "Wobble" and a host of others. About a third of the way through their set, Soul Glow invited the crowd to thank God for the beautiful day, as well as making us "Cray," which then led into their new song, "Cray Button." Later on, he shared Family Force 5's mission and spoke about how it was important to have fun "in the name of Jesus;" he even led the audience in prayer at the end of their set. 9:45PM - The night's headliners, Casting Crowns, wrapped up the day's events. 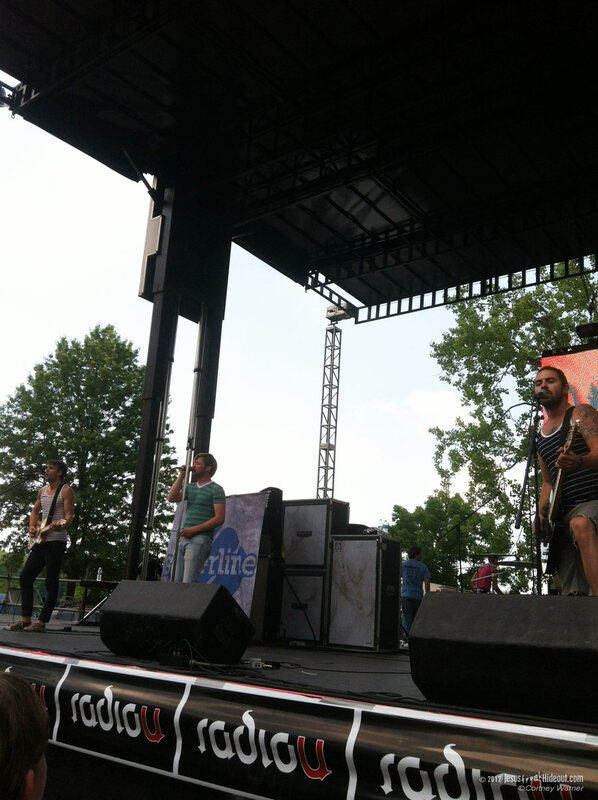 They opened with their new single, "Courageous," and then led into a series of their most popular songs. Lead vocalist Mark Hall also took some time after a few songs to talk about what Casting Crowns beliefs are, and also gave some shoutouts to the supporting bands that played earlier. 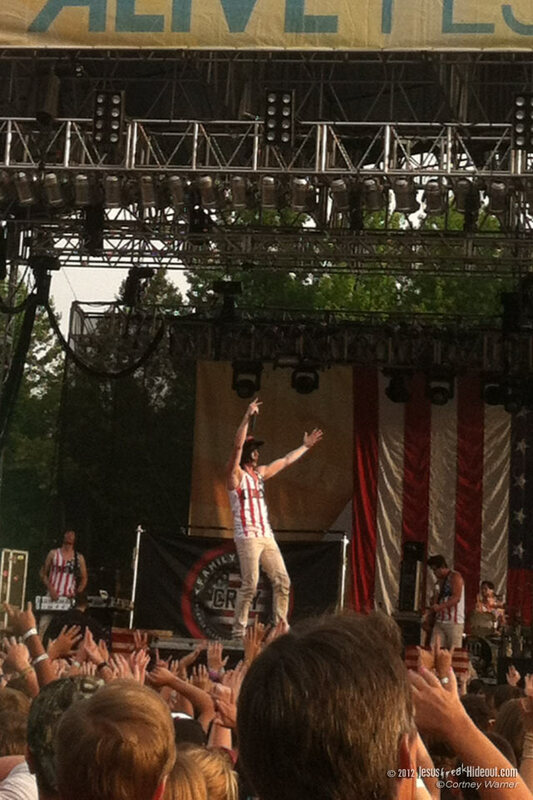 He even claimed he got his "wobble" on with Family Force 5 when they were playing. They then proceeded to play more music, and in one of the songs, they brought out a fiddle and encouraged audience members to "grab a partner and doh-si-doh." One of the best moments of their set was when they played "Praise You In This Storm;" it was so powerful to hear the audience lift up their hearts to God, and it was amazing to watch several thousand people all in worship together. It was definitely a moment that will not be soon forgotten by anyone who attended. After Casting Crowns finished up their set, there was a 30-minute fireworks show that followed. 10:50PM - Back at the Woods Stage, Family Force 5 had set up their laptops, lights, and sound system for their Family Force 5 DJ Dance Party. It consisted of all five members up on stage cranking out remixed versions of their songs. They even got out and into the crowd and danced with everyone who attended. I found the DJ dance party a lot more entertaining and fun then my school's formal (and almost any other school dance I can think of), and would highly recommend it to anyone who is going to a festival where they're putting it on. Overall, my first year at Alive Festival was an excellent one. I was able to make a lot of great memories, and experience some powerful worship as well. It was great to see some old favorites like Disciple, TFK, and Family Force 5, as well as see Casting Crowns for the first time. If you're in the Midwest area next summer and are looking for some family-friendly fun and rock and roll, I would strongly suggest the Alive Festival.